Bathtime has recently gone to the back of the to-do list as I’m sure it’s the same for most people. But when I get there – it’s the most underrated things that I vow to schedule into my diary more often. This particular bathtime was a real focus on my skin. I tend to be really good with my face with washing, cleansing and moisturising and the rest, but body often gets neglected. 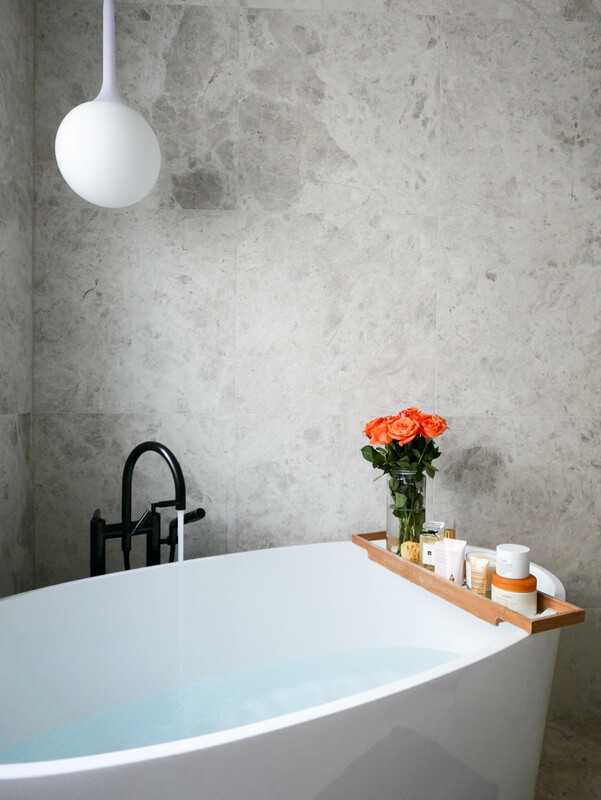 There is nothing quite like a good soak in the bath, to soften skin, remove dead skin cells and rest your mind. 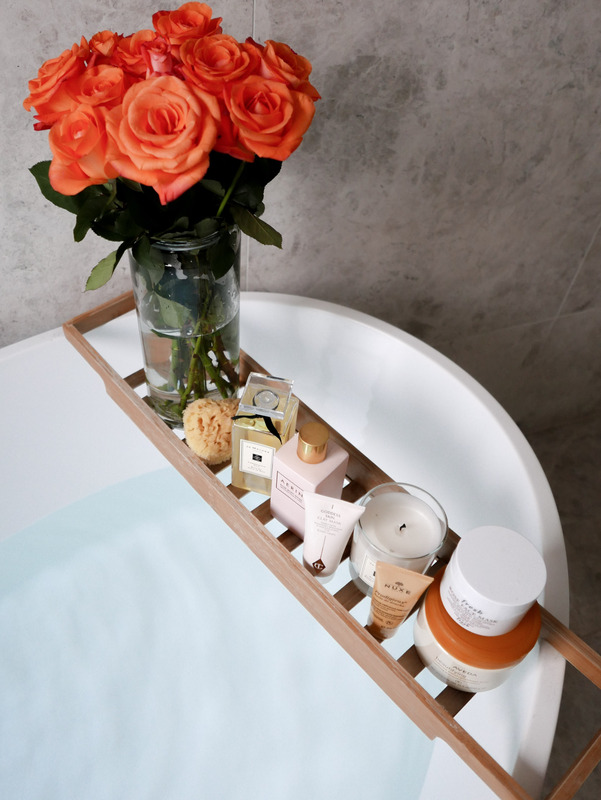 This bathtime I had the help of some recent skincare favourites which I have talked you through below. 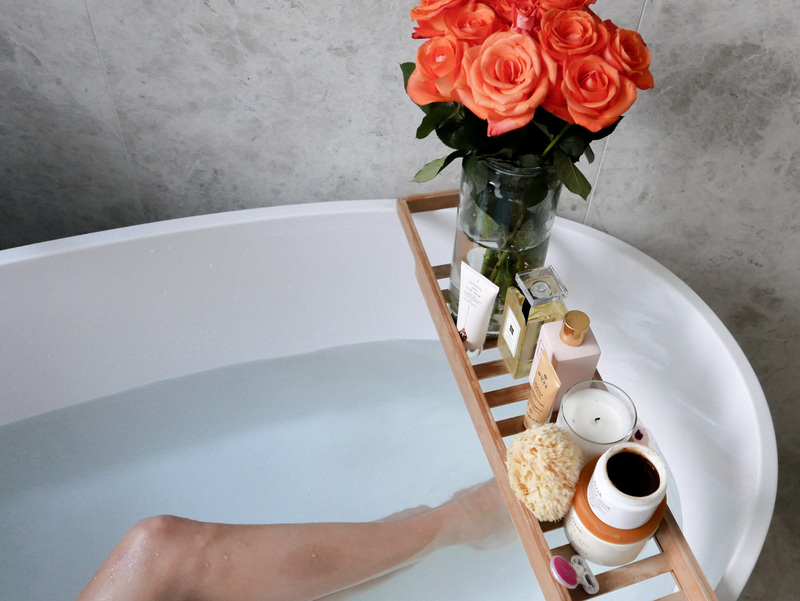 From a good bath oil, face mask, skin scrub, post glisten and overall nourish, my focus on this particular bath was to get my skin ready for the summer. Something I’m going to do a lot more of with a few trips in the diary. Aveda Beautifying body polish | I love the term ‘polish’ which makes ‘scrub’ seem colloquial. Essentially they are the same thing, however ‘polish’ adds hydration into into a scrub. I am a generally on the dry skin side of life all year round, so whilst it’s important to remove a build up dead skin cells on my body – I also need all the hydration I can get and this particular polish part of the beautifying range by Aveda gives me that moisturising sheen whilst doing what a scrub does best. 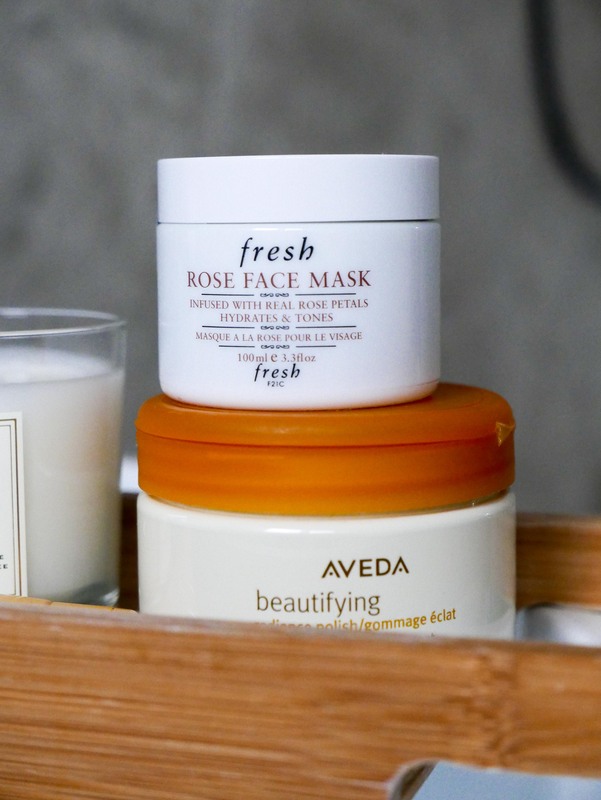 Rose Face Mask by Fresh Beauty | This is a wonderful mask that refreshes and tones your skin. Sometimes in a hot bath it’s amazing to use something cooling on the face. I started off using my every day face wash by SkinCeauticals (details below), then layer this rose petal infused mask onto my clean and damp skin. It’s so cooling and soothing and leaves the face feeling fresh and hydrated, the perfect base for serums and moisturising post bathtime. Rose Body Wash by Aerin | Whilst we’re on the topic of roses, this body wash by Aerin is wonderful. It’s simplistic with a hint of rose, great for a bath and shower. Ultimately feminine. 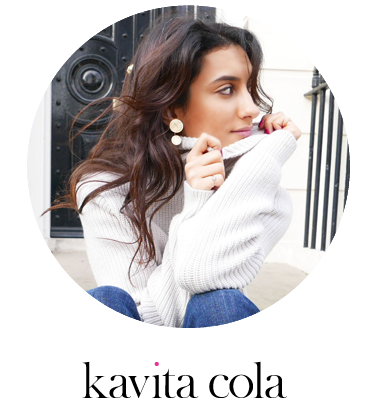 Goddess Skin Clay Mask by Charlotte Tilbury | Whilst we are on the topic of roses, ultimate femininity – this goddess skin clay mask does exactly what is says on the bottle. I’d probably use this before the rose petal mask (perfect combination of bath masks) and put it on almost dry skin. Let it sit for about ten minutes and splash it off with water – it makes your skin feel like new born. I’m obsessing over everything in the Charlotte Tilbury skin range at the moment it truly is amazing. 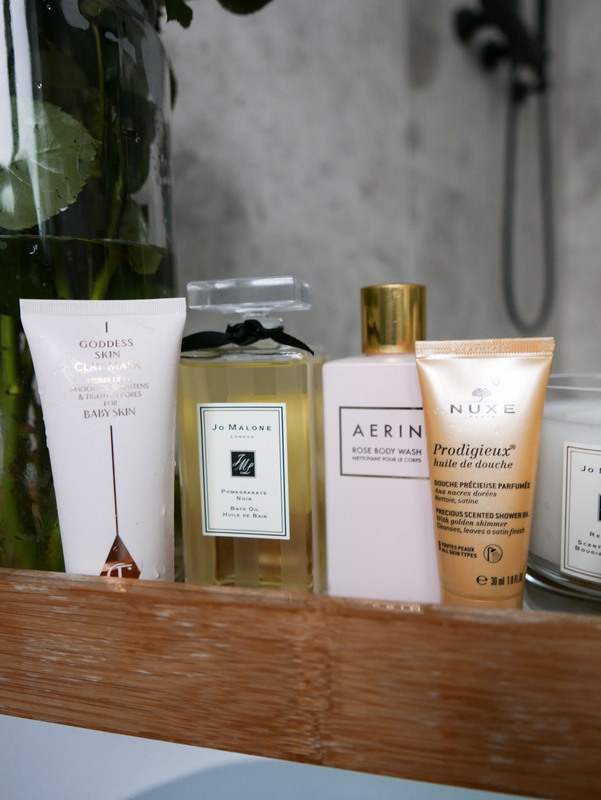 Prodigieux by Nuxe | It’s a shower oil which I like to put on all over just before I get out of the bath (or in the shower obviously), which leaves skin with the perfect glow post bathing. I feel like the french beauty brand Nuxe is underrated in the UK and something I’m beginning to see much more of. I look forward to trying more of their products as I love this shower oil. 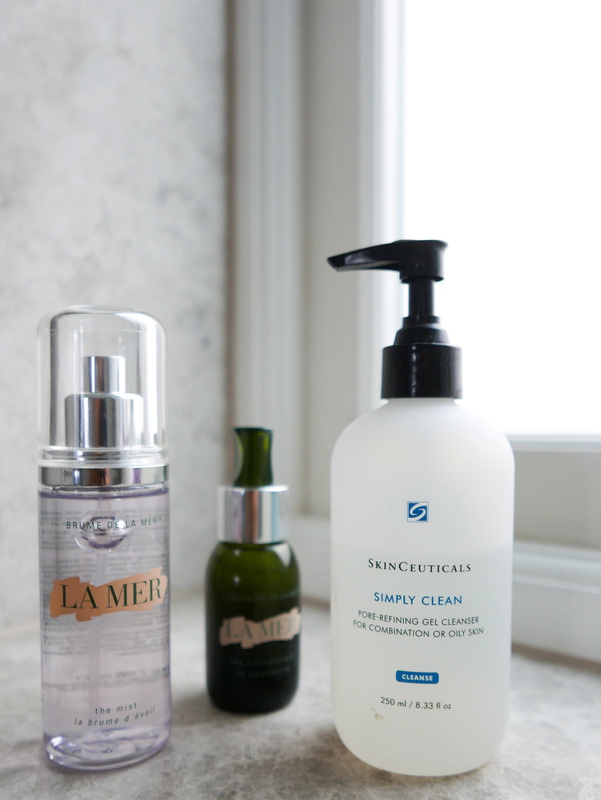 Simply Clean by SkinCeauticals | This has been my daily wash since January during a facial and I swear by it. It’s a fantastic daily wash to keep in the bath or shower, cleaning your face so you feel like you have removed every bit of debris from the day (after taking off your makeup with makeup remover) but it’s not overly drying. I think it’s good for a wash to have a drying effect because you feel like it’s definitely doing something. It’s really decreased random spots and blemishes and fine to use twice a day – I need to get a travel version for upcoming trips! 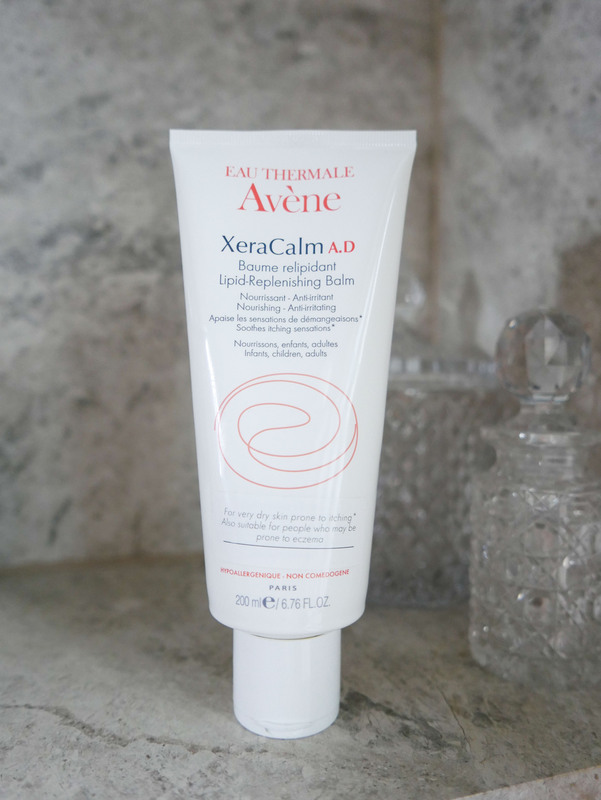 Avéne Replenishing Balm | I recently had a skin consultation with Avéne the beauty brand which has been going for years and takes into account all elements of skincare from a pharmaceutical perspective. This skin cream is light and the best for skin which is prone to eczema or psoriasis (me) or even if it’ generally sensitive. It’s an anti irritant too so if you get itchy from shaving or general allergies then this is a great go to body cream. Creamy Eye Treatment by Kiehl’s | My all time favourite eye cream. It’s the BEST thing to get rid of dark circles under your eyes. I think eye creams are so important t use separately from face cream because the skin under your eyes is less porous and more sensitives so it needs something slightly richer to keep it plump and nourished. This eye cream contains essence of avocado in it which feels gorgeous when you press it onto your skin all around the eye. 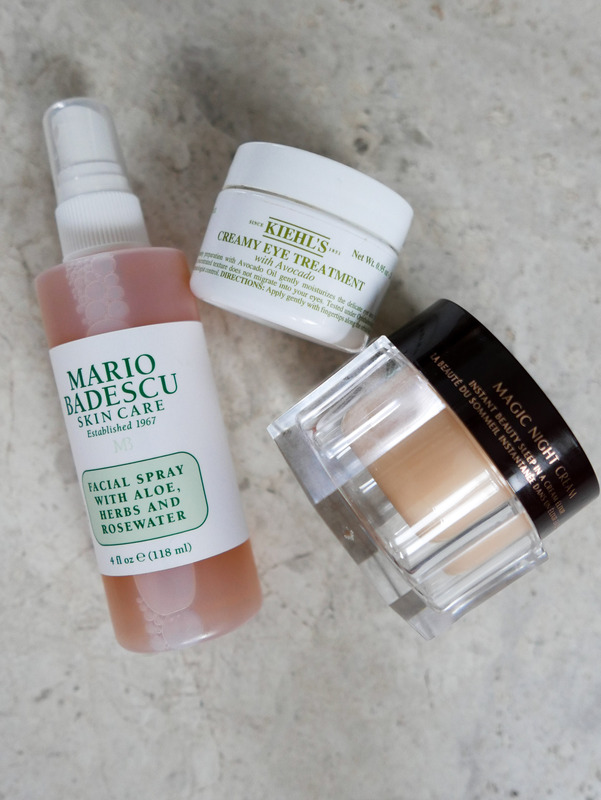 Mario Badescu Facial Spray | A friend once told me that their grandma of 84 years old has the most amazing skin and her trick was rosewater. Apparently she just splashed it on her face every day and literally hasn’t aged. 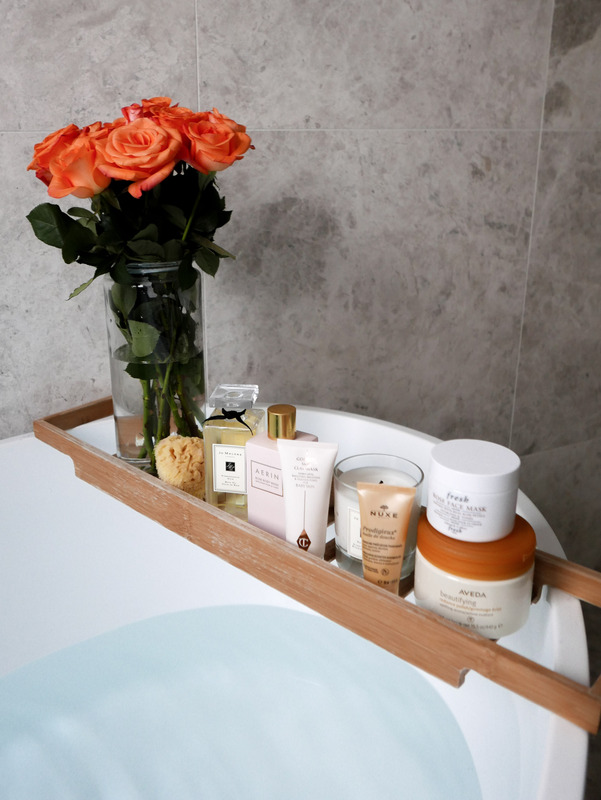 Of course everyone is different and your lifestyle is one of the most important components to having good skin, but I’ll happily keep some rosewater in my skincare regime from that anecdote alone! This one feels really refreshing on your skin, a perfect spritz for after the bath and before you hit up that night cream. Magic Night Cream | I can’t rave more about this night cream. 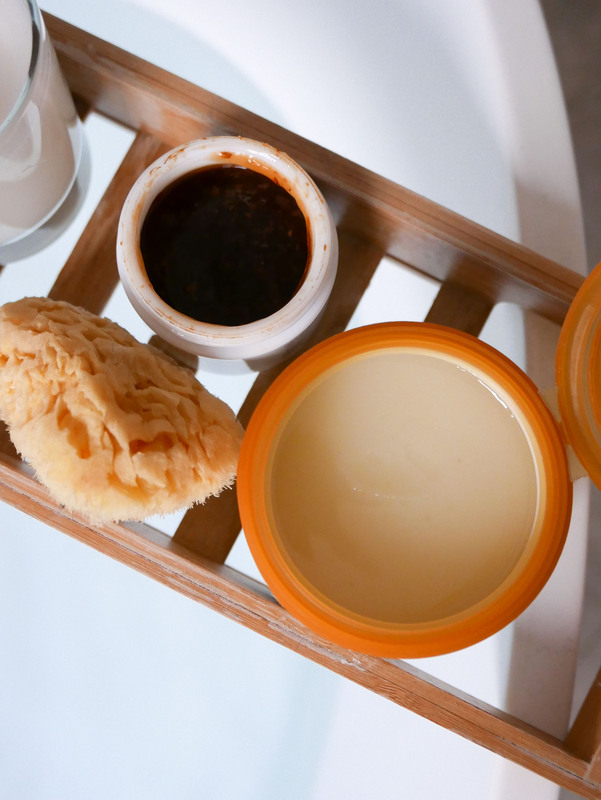 It’s thick in texture, so if you prefer night creams that feel light on your skin then it’s not the one for you. It feels like you’re going into some kind of hibernation when you put it on your skin – like when you wake up – you enter a new phase of life. If you feel that your skin needs an ultimate nourish then this is the cream for you. It’s one of the few products where you have almost instantaneous results by the morning. It’s transforming and leaves you with baby soft skin. LOVE.